Every director’s debut is referred to as an “experiment”; a term that is used to describe the director’s attempt of testing his abilities and talent in filmmaking. One of the most notable traits in Marwan Hamed’s early works is his bravery in experimenting, especially during adapting a successful and sophisticated literary works. What makes Hamed’s experiments unusual and distinguished is that the director is not testing his abilities, but rather new tools, feelings, and genres that are considered unfamiliar to the Egyptian film industry. Hamed possesses an extensively auspicious repertoire that extends over 20 years of experience in producing as well as directing films, in addition to directing over 300 commercials, TV drama series and music videos. Graduated from the High Institute of Cinema in 1999, Marwan Hamed started his cinematic career in 2000 as an Assistant Director in the film Souq Al Motaa. During his studies, he directed two short films and several documentaries, but what stood out from the crowd was his 40-minute Lilly, through which Amr Waked was also first introduced as a promising talent. Based on a short story by renowned Writer Yousef Idrees, the film was a great success, garnering various international awards including the Prix du Public at the Clermont Ferrand Film Festival, the Golden award at the Carthage Film Festival and Silver prize at the Milano Film Festival for African Cinema. The film was screened on various TV channels including the ARTE network. In 2006, Marwan directed his feature debut, The Yacoubian Building, which is based on Alaa Al Aswani's celebrated novel of the same name. The most expensive film ever made in the history of Egyptian cinema; it features an all-star cast including superstars Adel Imam and Yousra. The film follows the lives of a diverse array of the residents of the Yacoubian Building, once-opulent edifice inhabited by Egyptian foremost elites, but now a languish decomposing building symbolizing Egypt's deteriorating condition after the 1952 Revolution. The film dominated the Egyptian box office for the entire summer season in 2006 generating more than $4 million in more than 15 countries all over the world. It was also screened at a number of the world's most prestigious film festivals, including: the Berlin Film Festival in the Panorama section, Cannes Film Festival, BFI London Film Festival in London, Chicago International Film Festival in the USA, Marrakech International Film Festival in Morocco, and the Thessaloniki International Film Festival in Greece. The film won numerous awards including the Best New Narrative Filmmaker Award at the Tribeca Film Festival in 2006, the Bronze Award at the Montreal Film Festival, the Golden Eye Award at the Zurich Film Festival, and the Grand Prix at the Festival du Monde Arab France. 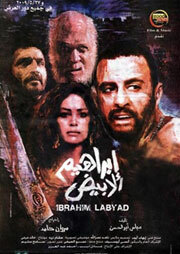 Inspired by true events, Hamed’s second feature film was Ibrahim Labyad, which featured a star-studded cast, including Egypt’s legendary star Mahmoud Abdel Aziz, Ahmed El Sakka, Hend Sabry, and Amr Waked, grabbed the Egyptian audiences’ attention with its realistic portrayal of life in the slums and its abundance of violent details. The film was screened at the Le Marche du Film of the Cannes Film Festival, the Montreal Film Festival and the Sao Paolo International Film Festival. 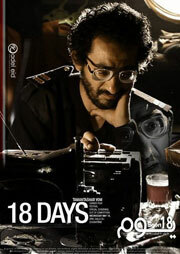 Marwan also directed the short film 1919, part of the movie 18 Days, a collection of 10 short films about the January 25th Revolution in Egypt, directed by 10 Egyptian directors. The film premiered at the Cannes Film Festival in 2011 in the official selection for special screenings. In 2014, Marwan directed The Blue Elephant (El Feel El Azrak), which is a cinematic adaptation of Ahmed Mourad’s bestselling novel in 2012 of the same name. The novel was shortlisted for the International Prize for Arabic Fiction (IPAF) in 2014. Starring Karim Abdel Aziz, Khaled El Sawy and Nelly Karim, the film is a psychological mystery that delves deep into the world of the paranormal. The Blue Elephant's visual effects are created by BUF company, a high-profile French visual effects and animation giant. Egyptian critics believe that The Blue Elephant is a successful milestone in special visual effects that marks a step forward of the Egyptian cinema towards the international market. The film is distributed in Jordan as well as the GCC states; the UAE, Qatar, Bahrain and Oman. 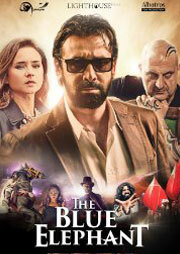 The Blue Elephant was a box-office hit in Egypt and grossed over $5 million worldwide. The Blue Elephant has stolen the scene at the 41st Egyptian Film Association Festival scooping a total of nine awards, including the Best Director and Best Film awards to Marwan Hamed. At the Luxor African Film Festival (LAFF), the film reaped the festival's main award, the Grand Nile Prize for the Best Long Narrative Film. In 2015, the film received the Special Jury Award at the Brussels International Fantastic Film Festival (BIFFF). 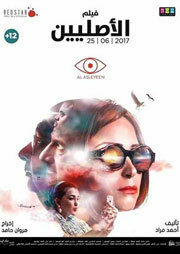 In 2017, Hamed directed The Originals, a psychological drama that features an all-star cast, including Menna Shalaby, Maged El Kedwany and Khaled El Sawy. Hamed won several awards for The Originals, such as the Best Director award at the 38th Fantasporto - Oporto International Film Festival in Portugal and the Special Jury award at the 66th Egyptian Catholic Center Cinema Festival. Hamed’s most recent film is Diamond Dust, based on the novel of the same name by writer Ahmed Mourad, who also wrote the film's screenplay. 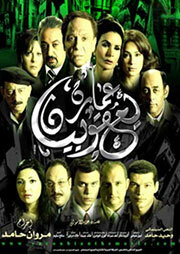 Diamond Dust features Menna Shalaby, Shereen Reda, Asser Yassin, Eyad Nassar, Sabreen, Maged El Kedwany and Ahmed Kamal. The film grossed EGP 32 million in theaters. Recently, America Abroad Media (AAM) announced that it will honor Marwan Hamed and his father, renowned screenwriter and producer Wahid Hamed, at its sixth annual Awards Dinner in Washington, D.C.
Marwan has directed several music videos by renowned singers including Egyptian and international pop-star Amr Diab, winner of four World Music Awards for Best Selling Middle Eastern Artist. Fascinated by his work in The Yacoubian Building, megastar Diab selected Marwan to helm his music hit Ne’oul Eh. Along with films and music videos, Marwan’s record boasts over 300 TV commercials for a selection of global brands such as Mercedes, Vodafone, Sprite, Etisalat, TE Data, the Egyptian Ministry of Tourism, and Mobinil’s 2013 campaign song Malnash Gher Baa’d, which had a peerless resonance among Egyptians after its release, reaching 3.6 million views on YouTube. 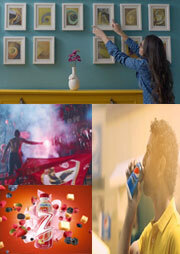 For his directorial bravura in the former campaign, Mobinil asked Hamed to direct the 2014 campaign’s theme song. Marking the first 5-minute one-shot music video, Marwan’s Eftah Albak transcended 2 million views on YouTube. 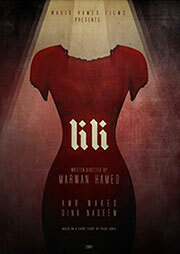 In 2007, Hamed co-founded Lighthouse Films with Fadi Fahim and Karim Shaker. Armed with their skills and passion for filmmaking, the trio has carved a reputation for Lighthouse Films as a leading production company with a young creative feel specialized in all parts of media production. The company produces TV commercials for the top multi-national advertising agencies, feature and short films and TV content. Marwan’s talent was recognized as he has been selected as a jury member at a number of highly extolled festivals, including the head of jury for the Child Protection Award, within the framework of the Abu Dhabi Film Festival in 2014, and a jury member at each of the Taormina Film Festival in 2007, Montpelier Film Festival in 2008, Montreal Film Festival in 2010, Abu Dhabi Film Festival (New Horizons Competition) in 2011, and the Human Rights Watch Film Festival in Zurich.